What is Drawing Desk - Draw, Paint, Doodle & Sketch board? 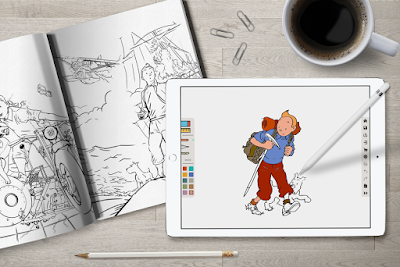 Drawing Desk - Draw, Paint, Doodle & Sketch board is a creativity companion that eliminates the use of paper, canvas and the other tools that are needed to Draw, Paint or Doodle. Well starting with its user interface, its simplistic and fun design approach, all the features are well laid out and simple to understand. The unique thing about this app that also makes it preferable from the rest of the app is its four categories in which different tools are presently based on your skills set and mood as well. These categories are Kids Desk, Doodle Desk, Sketch Desk and Photo Desk.